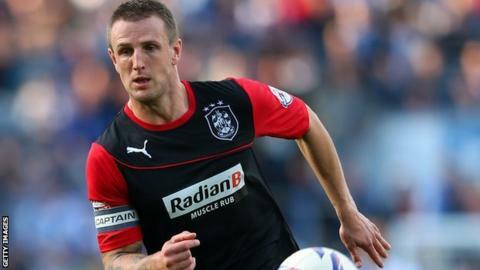 Huddersfield Town captain Peter Clarke has been ruled out for up to 12 weeks with medial knee ligament damage. The 31-year-old defender suffered the injury in Saturday's 3-1 defeat by Birmingham City. Clarke had appeared in all 15 of Huddersfield's league games so far this season. The Terriers, who have now lost four of their last five games, face a trip to Yorkshire rivals Sheffield Wednesday in their next match on 23 November.